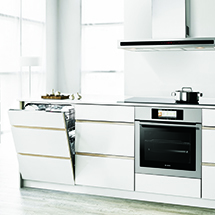 ASKO is a brand associated with environmentally friendly kitchen and laundry appliances that exemplify design, durability and functionality. For over 60 years ASKO products have helped people around the world cook, clean and care for their families and the environment. ASKO has always been committed to environmental protection. They strive to find the most environmentally friendly solutions and economical use of resources. ASKO machines are among the most water and energy efficient on the market.